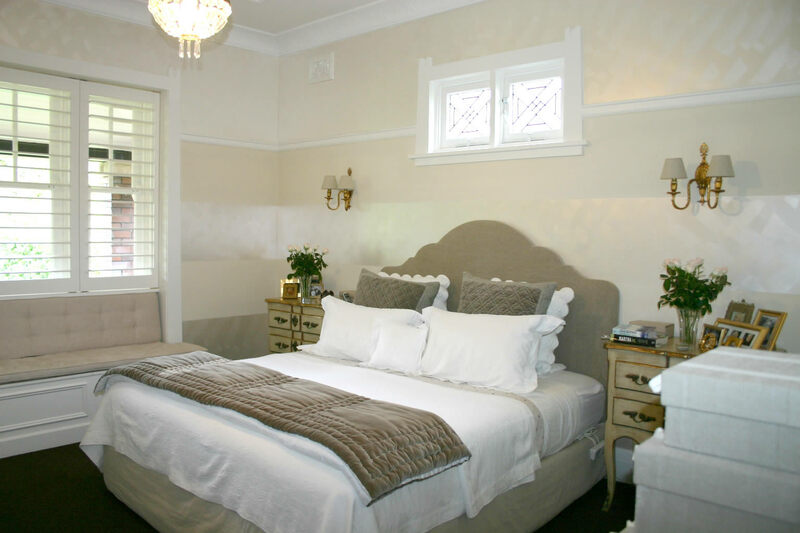 Cross-hatching Aqua Glaze Pearl in Lily adds to enhance the luminous quality of the paint in this bedroom. 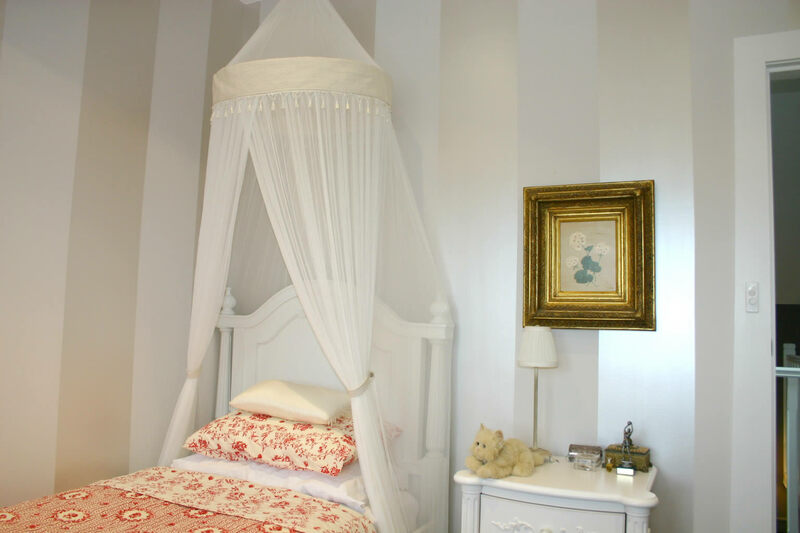 The striped effect in this children’s bedroom is achieved by designer Lynne Bradley using Aqua Glaze Pearl in Lily over PURE Low Sheen Acrylic in Bone. 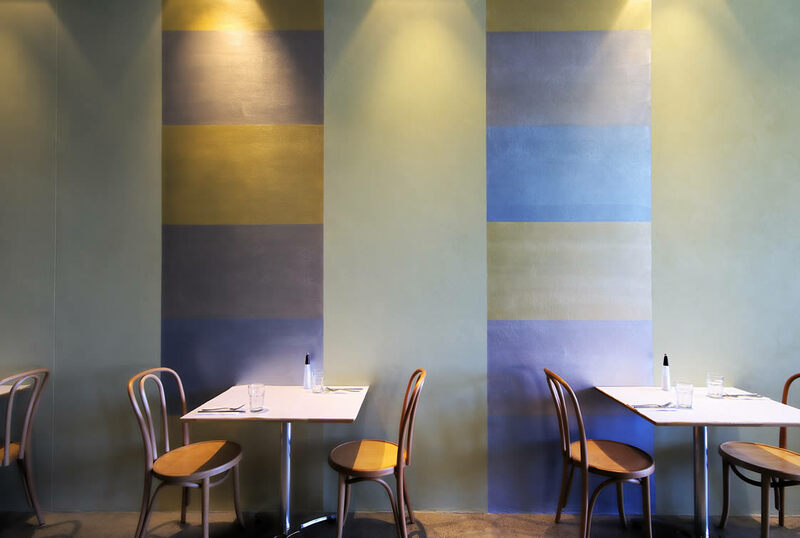 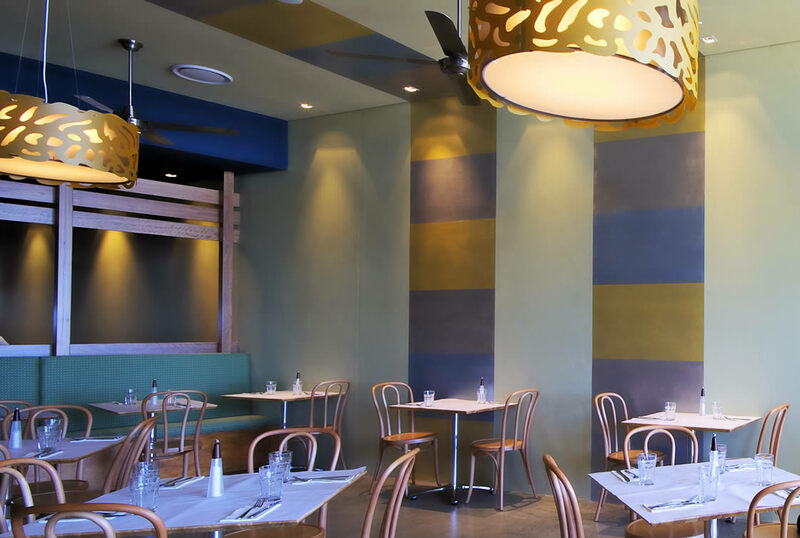 Combining stripes of Aqua Glaze Pearl creates an eye-catching interior at Onshore Café, Dee Why, NSW by Divine Designers.